Ignite Erie™ as an economic development strategy was first conceptualized in November 2013 when the Erie County Gaming Revenue Authority and 26 of Erie, Pa.’s leading innovation agencies co-hosted Ignite Erie: A Day of Innovation. The one-day event brought together more than 350 entrepreneurs, educators, policy makers, and elected officials. Subject matter experts, including Richard Bendis, founder and president of Innovation America and Ray Leach, founding CEO of Jumpstart Inc. led dialogue about the future of inner-city investment and innovation-based economic development. The results are changing Erie’s economy. 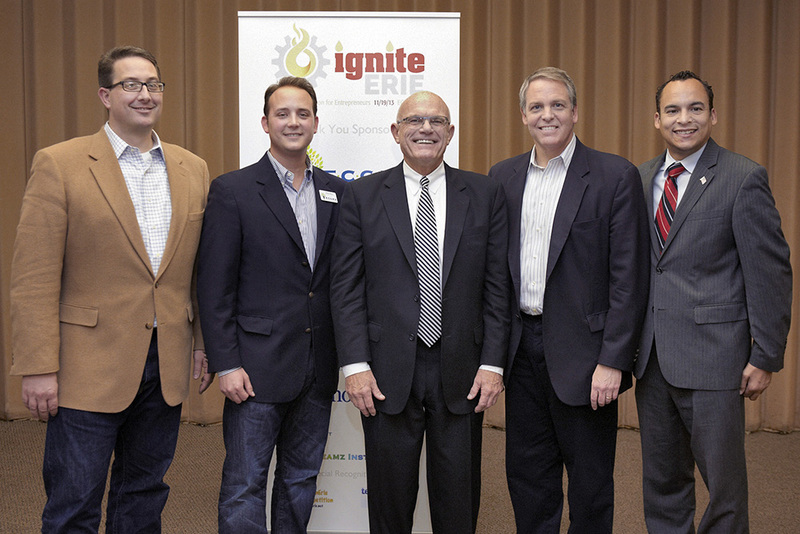 In 2014, ECGRA rolled out phase two of Ignite Erie: a three-part, $6 million funding strategy, which draws on outcomes from Ignite Erie: A Day of Innovation and economic development best practices related to the role small businesses, universities, and metropolitan regions play in the growth of the economy. Since 2014, ECGRA invested $200,000 in inner-city small business development through partners Bridgeway Capital Inc. and the Urban Erie Community Development Corporation . To learn more, contact one or more of ECGRA’s Ignite Erie partners, above, directly.